This unique small batch Easy French Apple Jam Recipe is simplr to make, has a gorgeous golden color, a fresh apple flavor, a chunky texture, and a surprise hint of spice from the cardamom. 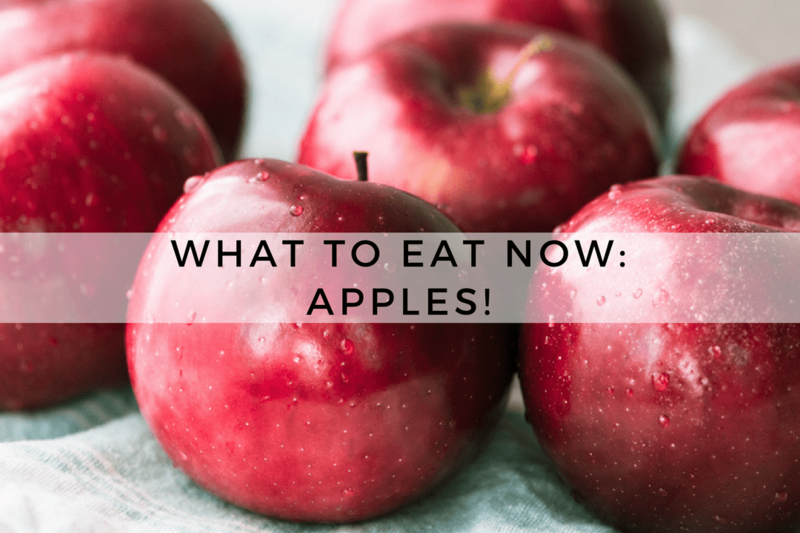 There are so many apples available right now, and you can really use any variety you like. I mixed Granny Smith and Honeycrisp. 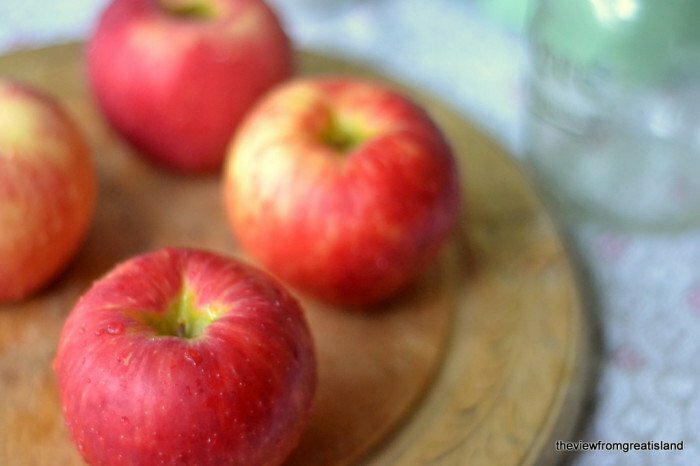 If you have local apples, all the better. But be aware that other varieties may behave differently when cooked. Mine retained their shape and color well, and they’re pretty commonly available in stores. 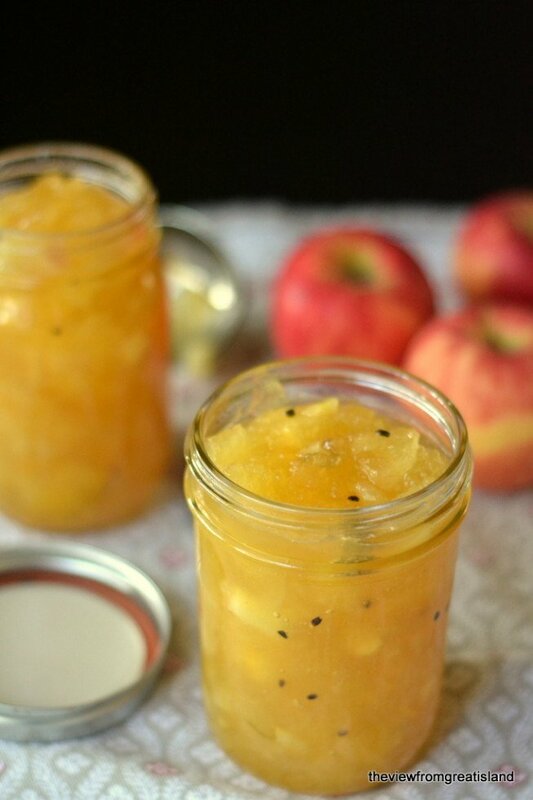 TIP: All apples have a lot of natural pectin, which helps to thicken the jam as it cooks. I used a little powdered pectin as insurance, but you can leave that out if you don’t have any, you may just have to boil the jam a little longer. Don’t skip the lemon juice, though, because that helps prevent the apples from turning brown. Rather than go with the obvious choice of cinnamon to spice up this jam, I used cardamom pods, lightly crushed to release their little black seeds. The result is subtle and keeps the flavor from reading as ‘apple pie’. I love warm flavor of cardamom, it’s ‘different’ without being overpowering. I love it so much I even have a PINTEREST BOARD devoted to it! If you want to use a mix of fall spices like cinnamon, nutmeg, allspice and clove, that would be nice, too, just don’t overdo it. TIP: If you don’t want the texture of the whole pods in your jam, use just the little black seeds. The French have a more easygoing attitude toward jam making than Americans do. They don’t fuss with canning baths and tongs, and they don’t worry as much about the dangers of spoilage. They have learned a simple process from centuries of jam making. This particular recipe makes a small batch, meant to be consumed within a month or so, but if you wanted to make more, you can follow the French method that I outline in this post. 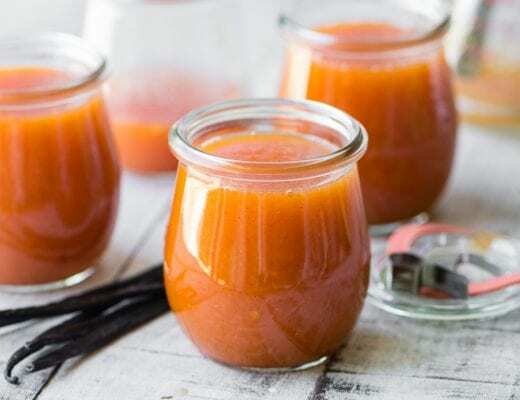 TIP: To can using the traditional method, ladle the jam into sterilized jars and process using the hot water bath method for 10 minutes. You can also freeze the jam, just make sure to leave a little room at the top of each jar for expansion in the freezer. Peel, core, and quarter the apples and add them to the lemon water as you work. Remove the apples from the water (discard the water) and finely dice them. 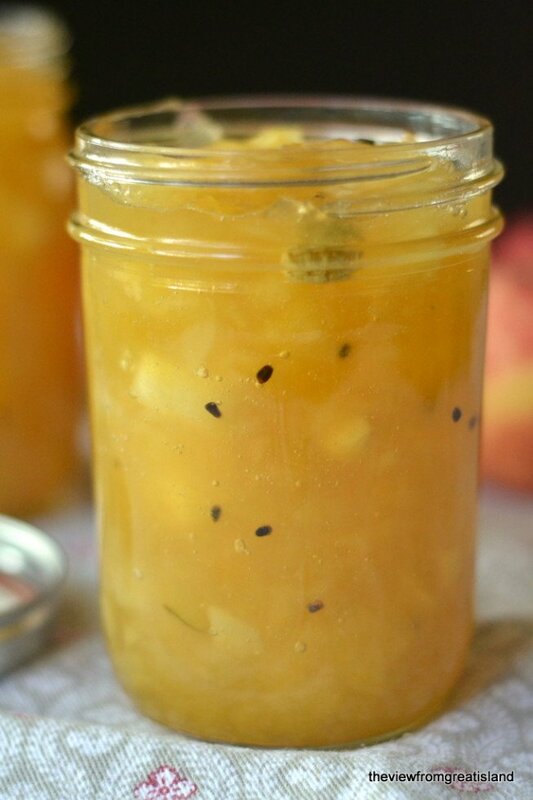 Add the apples to a heavy bottomed pot, along with the sugar, cardamom pods, (and any seeds that have escaped) the pectin (if using) and the juice of the other lemon. Stir well, and then bring to a boil. Boil, uncovered and stirring often, for about 30-40 minutes until thickened. About halfway through the cooking I used my stick blender to blend the jam just a bit, but I left lots of apple chunks intact. This is optional and depends on what texture you want your jam to have, and how large or small you chopped your apples in the first place. If you do this, be extra careful not to splatter yourself, the jam is very hot. Ladle the finished jam into clean (sterilized) jars, cover tightly, and let cool before refrigerating. See note below for preserving options. To can this jam you can follow the instructions from the Ball® website: Ladle hot jam into hot jars leaving 1/4 inch headspace. Wipe rim. Center lid on jar. Apply band until fit is fingertip tight. Process in a boiling water canner for 10 minutes, adjusting for altitude. Turn off heat and remove cover. Let jars cool 5 minutes. Remove jars from canner, do not retighten bands if loose. Cool 12 hours. Check seals. Label and store jars. Add a few cranberries for a fresh flavor, or mix the apples with pears. Double or triple the cardamom for a delicious spread to serve with cheese and crackers. 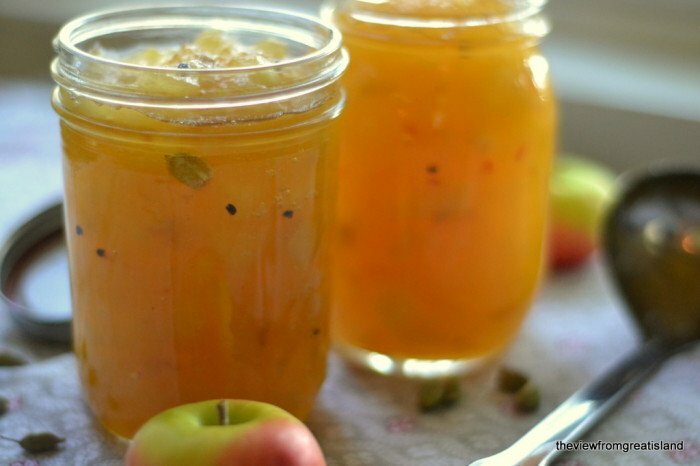 don’t forget to pin this unique French Apple Jam! Are you using the green or black cardimom pods? The green ~ the black are super strong and really only used in curries, etc. It could have been a few things Vicki…the type of apples you used might have caused the darker color, or the pears, since they tend to darken as they cook. Even the cinnamon, believe it or not, can darken things quite a bit. Sorry the color disappointed you, if you try it again try Honeycrisp apples. It took a little time, but it turned out fantastic! 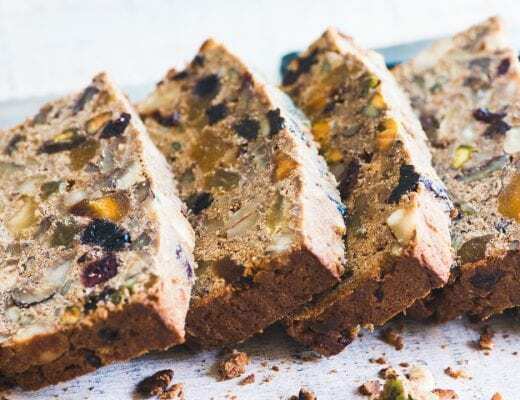 I did not have cardamom seeds, but used passion fruit and dried cranberries and a bit of cinnamon. I have never done this before, but it was super easy. Thanks for a great recipe. You’re so welcome…I love the passion fruit in there, interesting! If you are substituting cinnamon for the cardamom you can use it to taste, maybe start with 1/2 tsp. and go from there. You could also break up a cinnamon stick and use that. 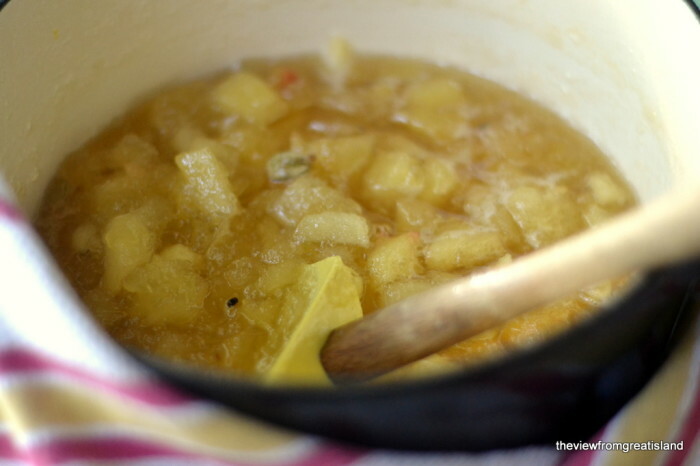 You will need about 2 Tbsp of lemon juice for soaking the cut apples, and 2 Tbsp later in the jam. How long does it last if not doing the canning? About 3 weeks, unless you freeze it, then it will last up to a year. How much of water is used? I didn’t see that mentioned in the recipe. There is no water in the jam recipe, Sydney, the apples cook down and release their own liquid. 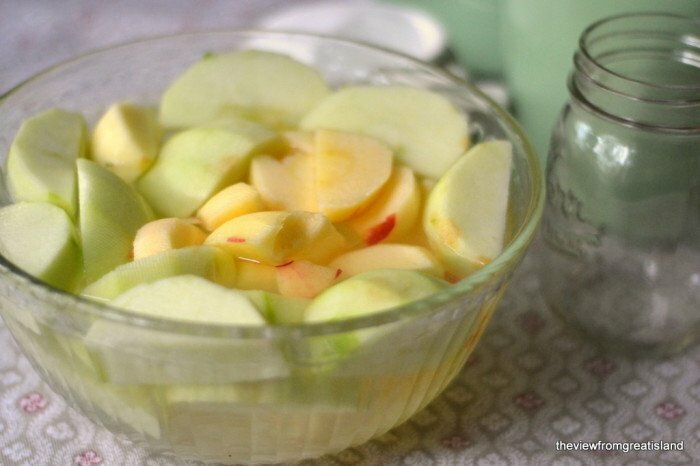 The bowl of water with lemon juice is just for soaking the apples so they don’t brown while you cut them. You could experiment, Xachi, but remember that this recipe relies on cooking out the moisture to thicken the jam, and the IP keeps moisture in. I only have ground cardamom. It isn’t a spice I use a lot so I really don’t want to buy more. Would ground work? Yes, that will work. Use it to taste. The end of the recipe states to see note below for preserving options. I am unable to find the note. I wish to preserve for longer storage. It’s there now Steven, not sure what happened to it! This is really good. I used 1 tsp ground cardamom next time will use double. Added about 1/2 tsp cinnamon. I found this did not need pectin. I boiled for 35 minutes. Will reduce time to 30minutes. Great recipe. Annoyingly imprecise measurements! How big are your apples? How many pounds? How many cups of chopped apple? If all I could find were cardamom seeds, how many are in a pod? That being said, I guessed, and although I put in too many seeds, it made a lovely and delicious yellow jam, so I guess all is not lost! Sorry Sue, I believe cooking should be easy going, and in a lot of my recipes there is wiggle room with ingredients. With a jam like this you can afford to be a little imprecise, it will usually work out. Unless your apples are super small, 6 is a pretty standard measure. I’m glad it all worked out in the end for you! I had been wanting apple jam for a long time and made this recipe using 4 kinds of just-picked apples. This is easy to make, cooked in a little over an hour (without pectin) and made 2 pints exactly. I used a potato masher to mush it up a bit about 30 minutes in and got a perfect texture. The recipe is just enough – give away 2 and keep 2. Looks great in the jars. I love the use and taste of cardamon but a little bit of vanilla bean would help out. Too many seeds though – make a cheesecloth sack to contain the seeds and then add some back to give it that intense cardamon flavor. Oh the flavor – this is delicious with a capital “D”. Next time I will make one with cinnamon, etc and the second batch with cardamon. I prepared jam for the first time in my life and I am glad that I stumbled upon the best thing. It is fresh, savoury and simply stunning. Thank you very much! Can you divide the recipe into 1\2 pints instead of pints? Absolutely, you can put it in any size jars, Vicky. I have whole cardamon – not ground, not pods. Can you tell me how much whole cardamon to use? You mean you just have the little black seeds? You can use them to taste, Nina, but you could start with 1 tsp. Yum! I can’t get enough of this jam since I made it last year for Thanksgiving! It was quite the hit and I’ve been giving some as gifts since! I also just included a link to this page in my latest post on growwildmychild.com Thank you so much for the inspiration. Hi, lovely recipe. Only thing is that I follow the quantities, but then ended up with 1 bottle of jam only. It completely boiled off. I don’t know how everyone else got 1liter (2pints)? What am I doing wrong? I’ve been making jam for 45 years and have never messed with a water bath yet and haven’t had any problems. Just this morning I opened a jar of cloud berry jam I made literally 7 or 8 years ago (didn’t mean to keep it that long) and it’s still great. We will use it. But I do store it in a spare refrigerator or sometimes in the wine cellar but this bottle had been in a fridge I keep especially for the purpose of storing flour, dried fruits, nuts, etc. Thanks for the recipe Sue. I made it today, and it turned out great. The cardamom addon was a break from the regular and guess what- my son loved it. I could eat it whole right now! Really glad I found you! Cardamom is a traditional Scandinavian spice, so I was excited by the recipe, since I’m also a great fan of chunky apple sauce and jam. The difficulty is that I live in a remote rural area, and I’m not able to find cardamom pods, but I do have a good quantity of ground cardamom. Can you suggest substitution measurements between pods and ground? Thank you. I think you can go by taste, Meredith, and maybe start with 1/2 teaspoon? You can taste it and add more if you like. I made this jam today. It came out delicious!! I put come chopped ginger while cooking. It was a hit!! Thank you so much!! I’ve never thought of making apple jam. Would be great in some fall recipes. 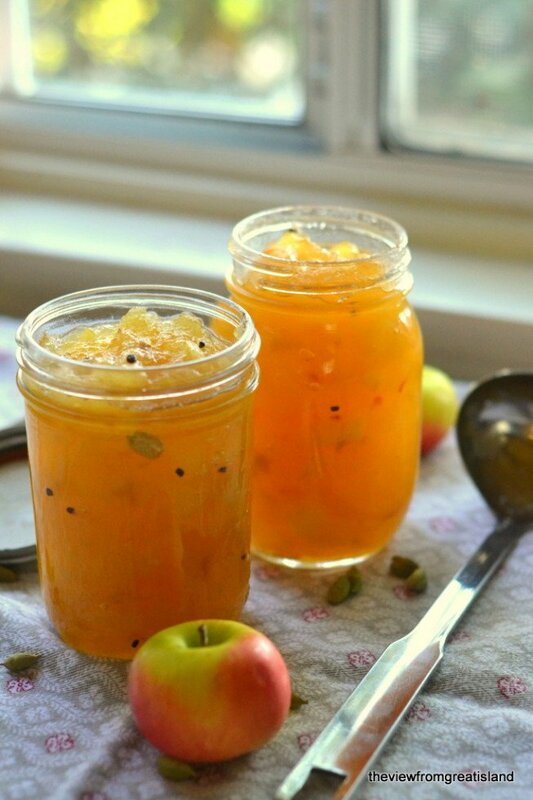 Would so much like to have your French Apple Jam recipe. It sounds so good. Dear Sue, thanks for this super-delicious recipe!! I especially like the different taste the cardamom pods add to the “plain apple”! It was a first time for cardamom ever for me and I can tell, it’s been a huge success! I had to go to a special spice stall at the “Weihnachtsmarkt” here in Frankfurt to find cardamom pods. They’re not available in Supermarkets. Even there they had to look for the small satchel in their inventory. “We have it, just have to find it!” The owner said. While waiting for his wife and grandson to search the stall I told him, that I wanted to make apple jam following your recipe with the pods. And soon a little crowd gathered around me, listening intently and asking questions about where to find your recipe and “what?!? Cardamom and apples?!? Never heard of! !” (Here in Germany we use cardamom for Xmas bakery only). So thanks again for sharing the recipe, you created a wonderful pre-Xmas event for me! Best comment ever Anette! You paint such a vivid picture of your experience, and I’m so glad you liked the jam. It sounds like you’ve gotten me some new German fans, thank you! I love your recipes … and have been wanting to can something for a while but keep chickening out at the last moment. This jam sounds so simple, though, I’m going to try it. Any guidance on how many cardamom seeds to use, once they’re out of the pod? I only have ground cardamom. Can I use it and if yes how much ? Use to taste, Francine…maybe start with 1/2 tsp. So glad I came across the recipe after a friend gave me a huge bag of apples from her garden. I tried this today because a friend gave my husband and me some sweet, hand-picked apples. I like the more Gallic quality of this apple jam than others that I’ve tried so I gave it a shot. For my batch, I had about 7 medium to small apples. I used the same amount of sugar and lemon juice as in your recipe plus Pomona’s pectin, which gels according to how much citric acid is present. I thought it would work great here since there’s so much lemon juice involved. I just ladeled (sp?) some into my little 4oz. jars. The whole process was a pleasantly aromatic one — with the ripe apples and cardamom just hitting it off. One jar for the friends who gave us the apples, one for us and one for someone I like a LOT. Mine may be more like a spread, since I boiled it a little long, but it sure *tasted* like fall! You’re so welcome Yvonne — thanks for letting me know how it turned out! Thanks for the feedback, Pavel! Simply beautiful! I can’t wait to try it! And I love seeing the little cardamom seeds against the golden apple jam. Yummm! What is the weight value of the apples? I’m using small apples so the weight would help with balancing of the quantities of ingredients. How did you manage to keep that beautiful bright color? I’m afraid mine will turn brown (like apple butter) with the cooking. That really surprised me, too, Marianne. All I can say is, follow my directions, and use a mix of Granny Smith and Honey Crisp. Good luck! Sue, this is not only beautiful (I’m going to make another batch for holiday gifts), it is absolutely delicious! 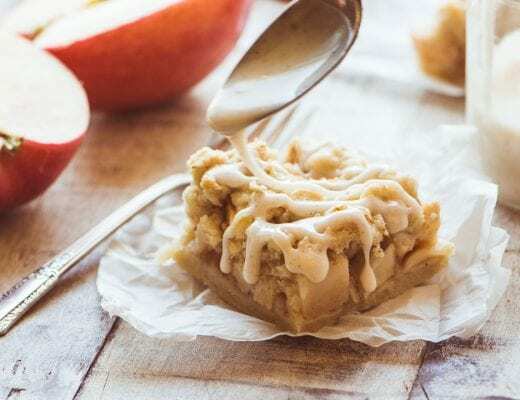 I love that it tastes like apples with a little something special… not, as you said, like the “apple pie filling” concoctions we are all so used to. We devoured a pint already. Thanks so much for sharing this! It’s my new favorite recipe! Mine turned out that color, and I just used regular local apples.I think the key is in that lemon water- -it really does keep the apples from going brown before they go in the pot, which keeps them from going brown in the cooking. This is a lovely jam- -thanks for sharing the recipe! Thanks for the feedback, Beth. The color really is part of the joy of this jam! Make sure to use fresh crisp apples. The “storage” apples from supermarkets or soft apples will likely turn brown. Thanks for the tip Art. My wife and I love it. What a wonderful surprise…thanks. I recently spent a week in beautiful Provence, France, and couldn’t wait to try the French Apple Jam recipe you posted earlier this month. Yesterday, I finally got around to making it and just had to let you know that it’s SUPER-FABULOUS . . .exactly what I would be having with warm croissants on an early fall day in Provence. The finished product looks just like your photo – luscious and golden. I’m planning to make another batch before Christmas to give to friends and family. I’ve made berry, fig and stone fruit jams on-and-off for many years, but your French Apple Jam with cardamom ranks among my favorites. Thanks for sharing “The View from Great Island”. Gosh, Catherine, that is quite a testament, thanks so much! Can this gorgeous jam be frozen? I’m sure it could be frozen, Vivienne. Gorgeous jam, I love the color! and yet I still haven’t done a homemade jam yet! When I was growing up, I absolutely hated the jam/jelly process. It was in Ohio: hot & humid and no A/C and yuck! As a middle-aged person who is making most everything from whole food, I’ve had fun with jam and marmalade and this past year have been making small amounts: 2-4 pints. NOW, I’m having fun! This apple jam is so perfect. Good, organic and relatively local apples are available now. And really, there is almost always something that is in season. My mother told me long ago (she’s not French, she just went on her own common sense) – if you are putting boiling whatever into sterilized jars…done! And my entire family is still alive :) ! Thanks for the recipe and also the link to your post with the French method. This is lovely recipe Sue. I can’t imagine how tasty it is. And so pretty too! I need more jam in my life! What a beautiful recipe! Love the whole cardamom seeds just suspended in it, so pretty! Cardomom is hands down my favourite spice and although I’ve been canning with it this year with pears I’ve never thought of using it with apples. I thought I was done making jam for the year but looks like I might just squeeze in one more batch…. This looks wonderful and I can just imagine how good those cardamon pods smell. This looks delicious. I can just taste it. I found the French method fascinating. Doing away with all the pots, pans and stuff that I feel I have to get out to put jam in jars really prevents me from making it more often. I can’t wait to give it a try. That’s the way I feel, it’s so freeing! I also love making small batches, so I don’t feel like I have to wait till I have a huge load of fruit to make jam or chutney.